First, I want to thank you for sticking by my side to support me as I pursue my dreams! Your patience means the world to me and I want you to know how much it’s helped in arriving where I am today. This year has been a challenging one, to say the least. Kicking off February with a third surgery and recovery slowed my progress in several areas. Overwhelmed, I took a much-needed break from blogging and social media to process my feelings, revisit my dreams, and determine where I wanted my life to go. I've had a very difficult time with the outcome of this surgery and those feelings were more difficult to process than I could have imagined. For a while, it felt as though every commercial, movie, Facebook post, and overheard conversation was about someone’s pregnancy or new baby. I struggled with feelings of anger, hurt, and sadness, yet I still felt hopeful. 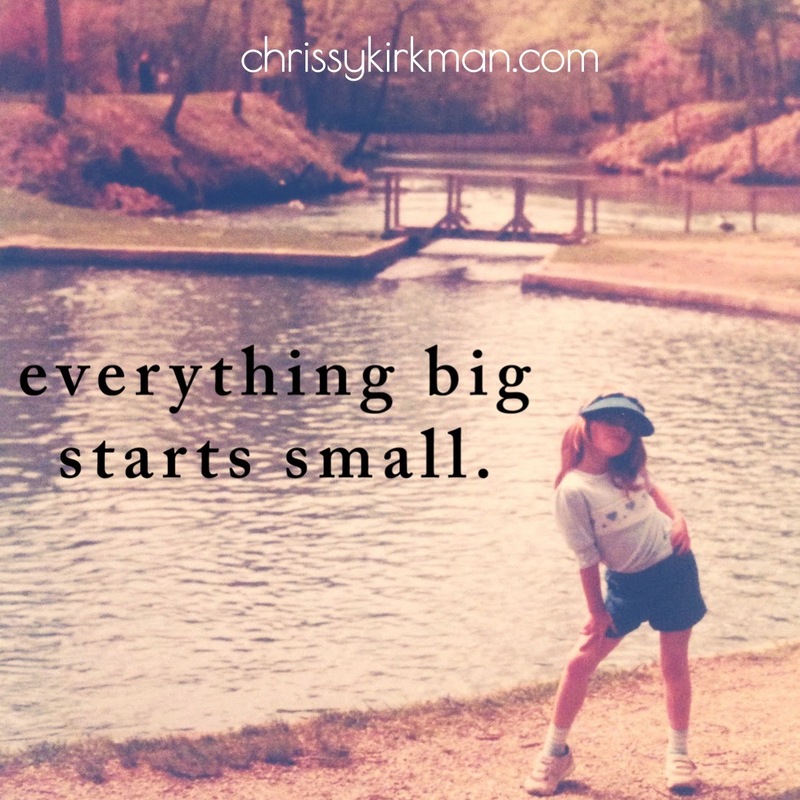 But one thing was certain, I needed to disconnect and focus on what God was saying, what I was feeling, and make a plan of how I would pick myself up and keep moving forward. For three years I've dreamt of becoming a life coach. Although I’ve been certified since 2011, I’ve found it difficult to bring this dream to life. In the beginning, I believed the self-defeating lies that I couldn't do it, that my health would prevent me from ever being effective, and a thousand other fears that held me back. I pursued a local health care establishment, a corporation, and have explored a few other possibilities to make it happen, but none of them seemed to fit into God’s plan for me. Instead of giving up or getting angry, I chose to continue praying and being patient. In the months since my surgery, God has revealed so many things to me. He’s led me exactly where I want to be… and I’m so glad I followed Him! My dream is now a reality! 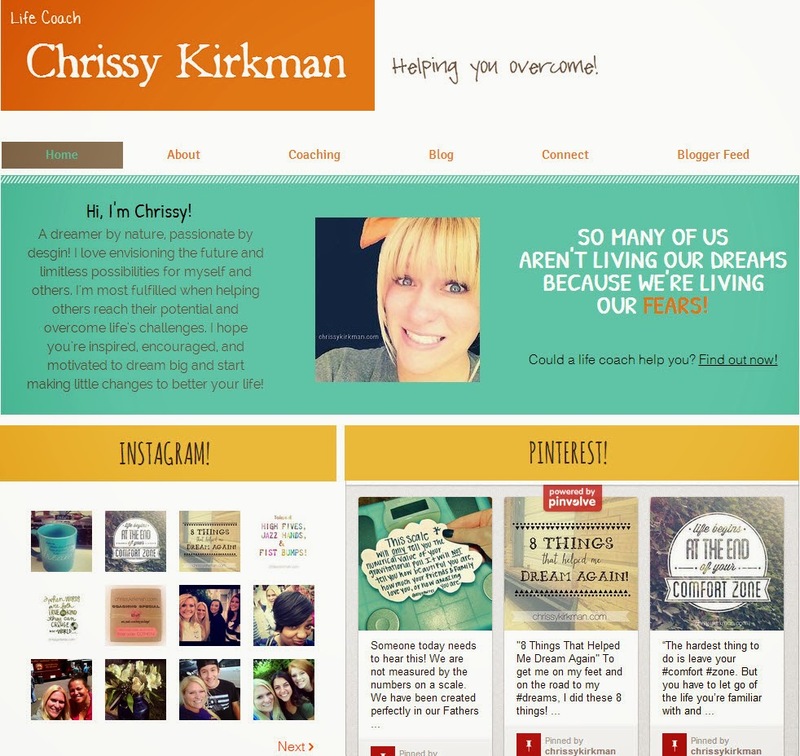 I’m excited to announce that my new life coaching website, chrissykirkman.com, is live! For anyone who isn't sure what a life coach is, they’re someone who helps you get from where you are in life to where you want to be. A life coach supports and motivates you, holding you accountable to achieving your vision and dreams. They help you define what you really want, uncover what’s holding you back from achieving it, and make a plan to move toward it. We all face difficult situations and emotional barriers that make it tough to keep going. It helps to have someone by your side encouraging you to push past those. Just as a sports coach empowers athletes to become driven competitors, a life coach helps people from all personal and professional backgrounds improve their strengths and use their struggles to make them better. This is who I am and who I want to be! My new chapter has begun and with it comes transition. I will create blog posts on my new site, sharing the inspirational and motivational posts of encouragement you've come to expect from me. My ‘Overweight… AND OVER IT!’ site will remain active and you can access by going directly to andoverit.blogspot.com or from my new site by clicking 'Blogger Feed' from the menu. I may continue posting at 'Overweight... AND OVER IT!' from time to time. I certainly won't delete it. You might be surprised how much I refer to the posts I've written over the last three years for my own personal support and reminding that I've overcome before and I can overcome again! YAY FOR ANOTHER DREAM COME TRUE! The best hair care brands now offer fantastic hair regrowth products that help regrow female hair. Look out for hair regrowth treatments featuring ingredients such as keranique reviews Minoxidil that have been approved by FDA. Minoxidil has been clinically proven as effective in helping hair regrowth in women. This ingredient effectively improves the flow of blood, nutrients and oxygen to hair follicles. This encourages hair regrowth and strengthens hair strands. According to hair experts, using a product containing Minoxidil everyday will soon lead to healthier and fuller-looking hair.